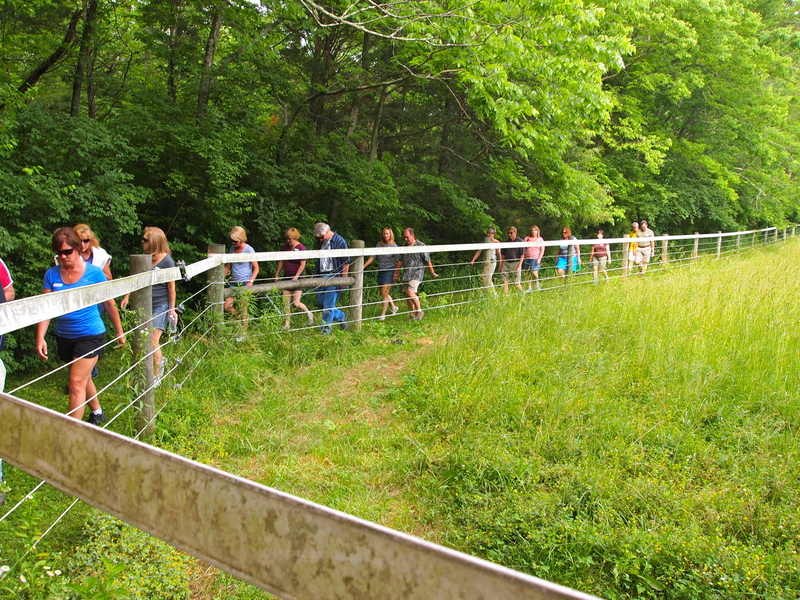 Over 120 people had signed up for the hike and potluck meal afterwards…but probably 50 showed up. You’re allowed to bring in your own food and their wine is quite good and inexpensive. My bottle of Chardonnay was only $13. We had an area away from the main area for our group. My Power Salad of chicken, avocado, pine nuts, tomato, feta cheese, and corn was a hit! This was a dog friendly…actually encouraged…event! You were even allowed to have your dog off leash if it was well-mannered. 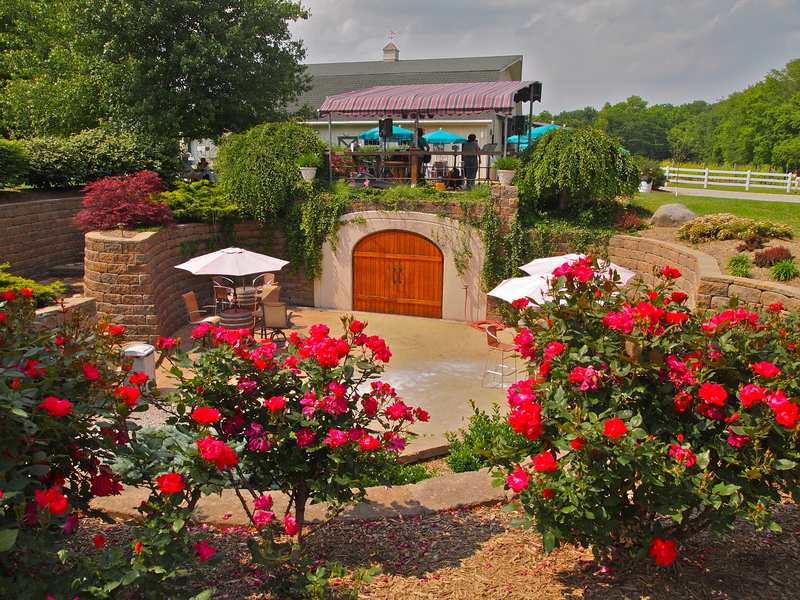 Harmony Hills Vineyard has it all…good wine, beautiful scenery, animals and music! Try being a Tourist in your City…you’ll love it! You certainly have a wide variety of places and activities to keep you entertained. They should make you an Ambassador for the area. I should find out if the wineries in Niagara On The Lake have similar walking meetups. There are so many things to see and do! Now I just need to get paid to do what I love! I think that is something we all would love to do. Great choice and fun event at a wonderful place. Thanks Frank! Have you been there? 3-4 times … always a good time. More gorgeous colour! That grass is so green you could just eat it. 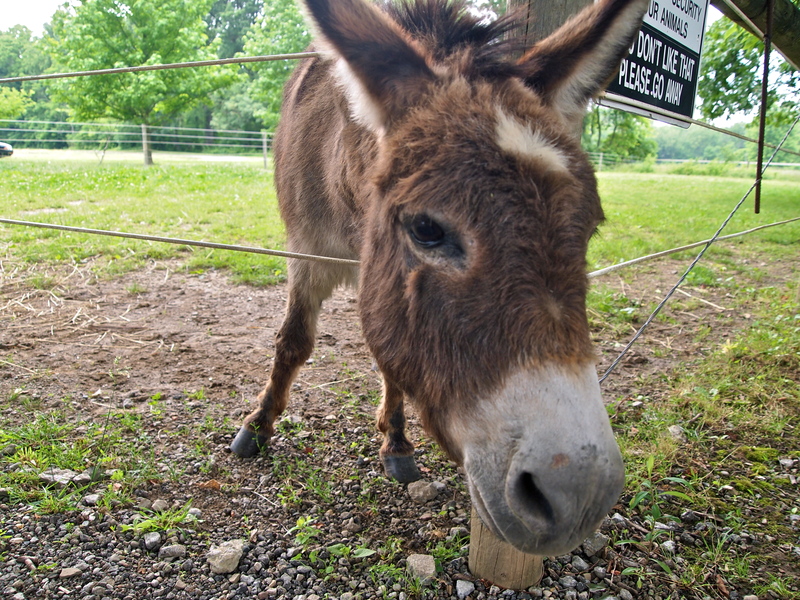 The donkey is super cute! Thanks! That donkey was so friendly! if I lived over there, that would be one of my fav places!!! Very nice photos Sherry! I absolutely LOVE the picture of the 2 dogs “meeting for the first time”…..fills my heart with LOVE! It could be a Hallmark card under the section “newly dating”. Thanks for sharing these gorgeous pictures! Thanks Sherry! Glad I brought a smile to your face! p.s. I wanted to make sure it is “Paper Moon” winery in Vermilion off Rte. 60, I get the name confused with my favorite cupcake place in Powell, Ohio, named “Pink Moon!” Had to check to make sure and now, you know! I was happy to see the photos and have been considering a wine tour trip that AAA offers through the Lake Erie area. I like the little Hermes Winery on Rte. 4 traveling towards Sandusky and the ones in Vermilion area, one with a moon in its name has a nice covered long porch and inside places also. You can get plates of cheese, olives and crackers along with light snacks. The wine is nice, I will have to look it up to put it on a p.s. for this post, they do have music also on weekends! Your walk, meal and gathering looked quite inviting! Thanks Robin! That tour sounds fun! I really liked that aspect too! It was fun! Good way to work off the calories before you take them in. Nice place.